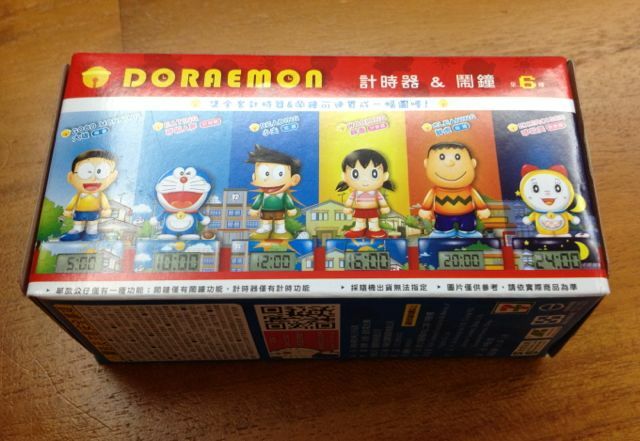 One of the things unique to Taiwan is the number of convenience stores you can find all over the island. In Taiwan, you have 7-11, Family Mart, Hi-Life and OK Mart. 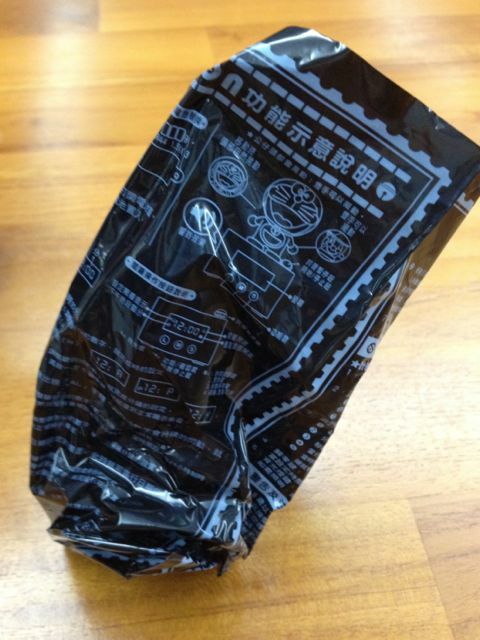 In total, Taiwan has almost 10,000 convenience stores, with 7-11 being the largest chain. With so many stores (offering the same services), how do you get the customers to come to you? Customer loyalty programmes. 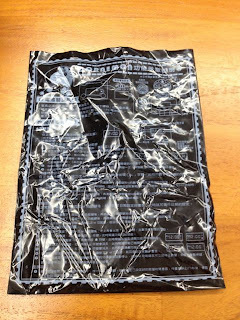 I have not been a follower of any of the customer loyalty programme until now (well not really a follower....). So what made me follow this particular loyalty programme? It's by 7-11 by the way. Well they are offering a set of clocks (not too sure if they are all clocks or offering different functions). The theme is of course Doraemon. For those not familiar with Doraemon, it is a Japanese manga series about a robot cat sent back in time to help a kid get through life. I like it as it is cute. 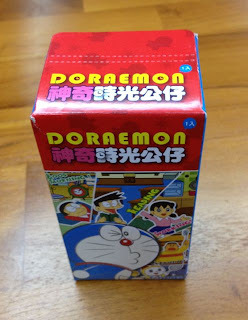 The box with the prize inside. 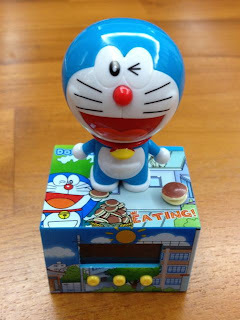 The blue cat is Doraemon. 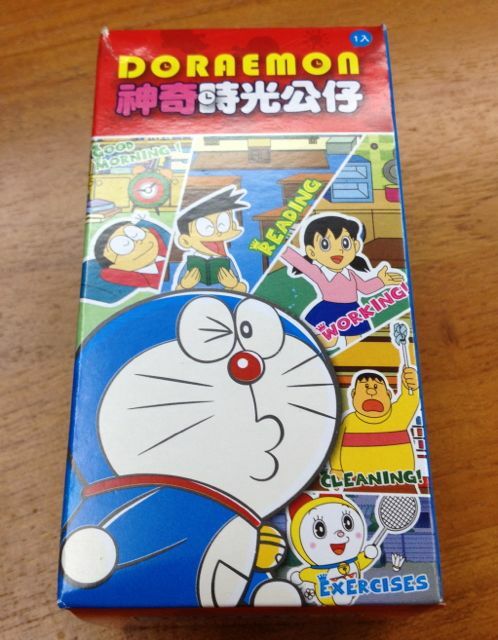 The main characters in the Doraemon series. 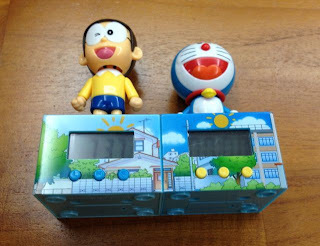 I am basically interested to get Doraemon (second character from the left and Nobita, the first character (from the left). 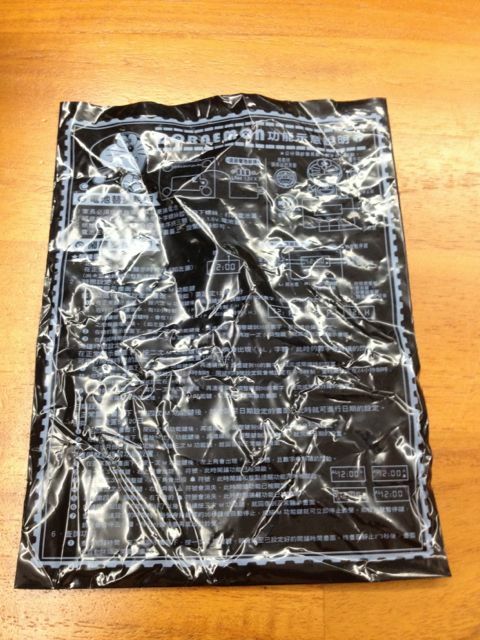 The instruction manual, again in Chinese. 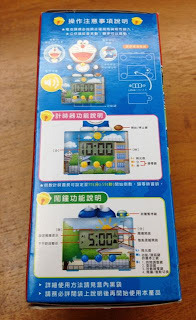 These clocks are easy to use and setup. 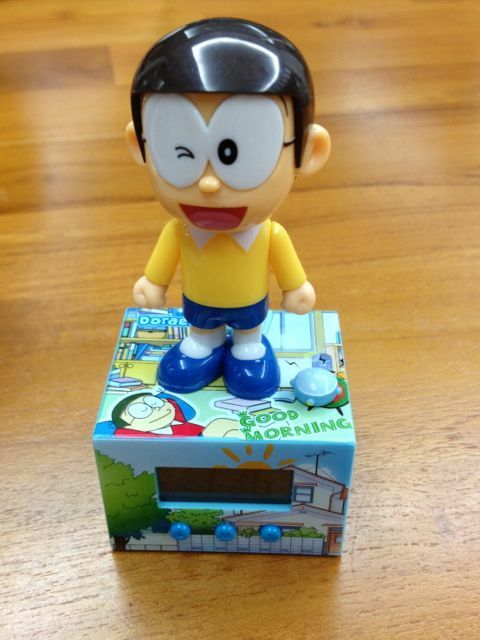 And finally we have the prize. 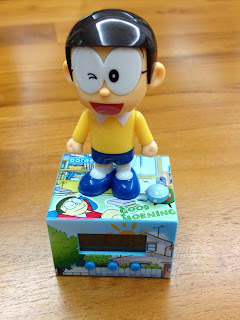 This is Nobita. It is a clock with and alarm and calendar function. This is cool. 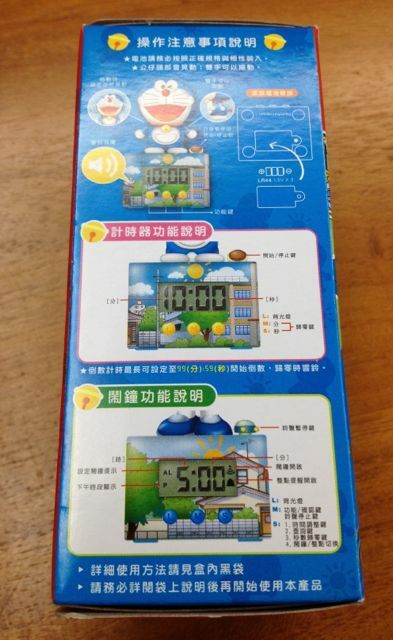 The buttons on the front is used to adjust the clock, alarm and date. It also lights up the display. 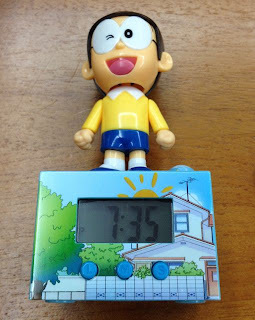 The button at the top, next to Nobita leg is to change the display and cycle it through time, alarm, date and seconds. And yes, the set is complete (to me anyway). It's Doraemon. Sadly Doaremon is not a clock. 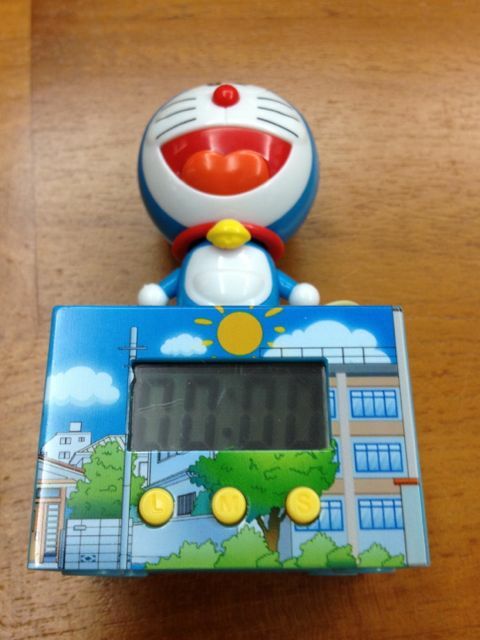 It is a countdown timer. You can set it to a maximum 99 minutes. 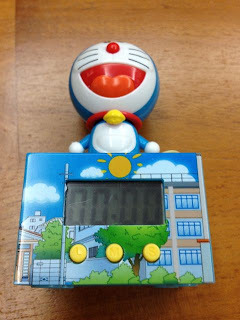 The buttoms on the front is to adjust the timer and the start stop button is next to Doraemon leg.